Victoria Peak — usually just called ‘The Peak’ by the locals — is the highest mountain on Hong Kong island, and the absolute best place to get a full view of pretty much most of Hong Kong from 1,811 feet high. There are lots of ways to get to the Peak, such as hiking, taking a bus, or grabbing a taxi, though tourists usually take the Peak Tram which since 1888 has chugged its way vertically up the mountain. The Tram is pretty amazing, because it truly goes straight up that mountain in the space of a few minutes, at a very steep incline. But once getting off the Tram and elbowing your way through the tourists, the problem is that you get deposited into the Peak Tower, a horrible and expensive tourist trap where you are forced to wind your way through crappy overpriced souvenir shops and cheesy restaurants like Bubba Gump Shrimp Company, Starbucks, and McDonalds in order to get to the top and get the full view from the look out point. Ugh. 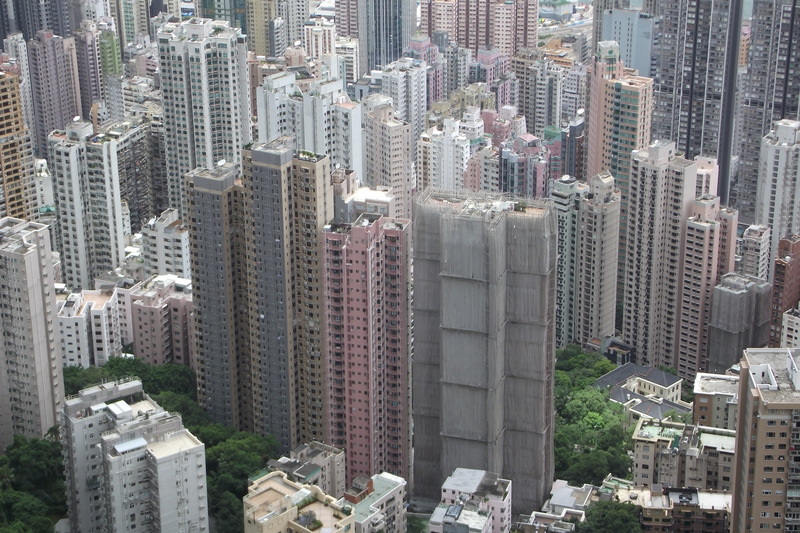 To all tourists coming to Hong Kong, please take my advice, if you want to go to the Peak and see the view, you do NOT spend your hard earned money to go into the Peak Tower, because there is a much better place to get a perfect view without lining up behind 5,000 grouchy tourists for two hours. Let me tell you a little secret that I’m sure the Peak operators do not want you to know about. 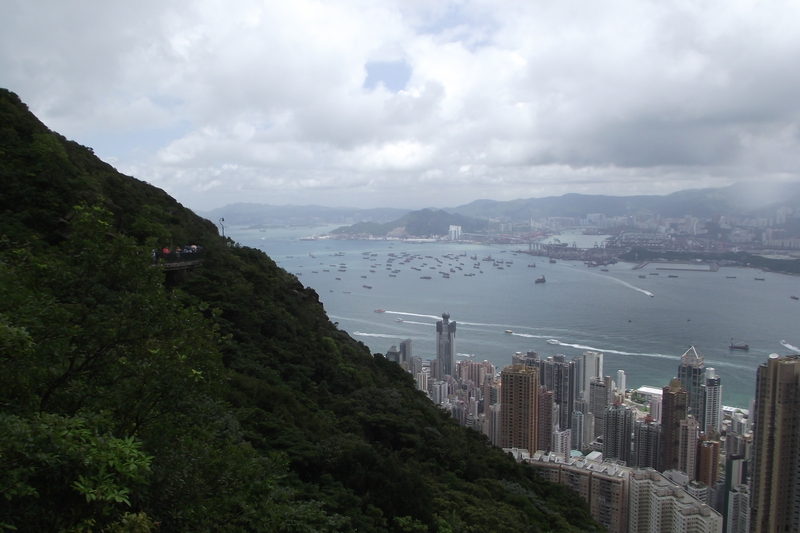 Right behind the Peak Tower, close to a restaurant called the Peak Lookout, you’ll see signs leading you to something called the Lugard Road Lookout. It takes about 15-20 minutes to walk through a lovely winding path through the lush greenery of the mountains. 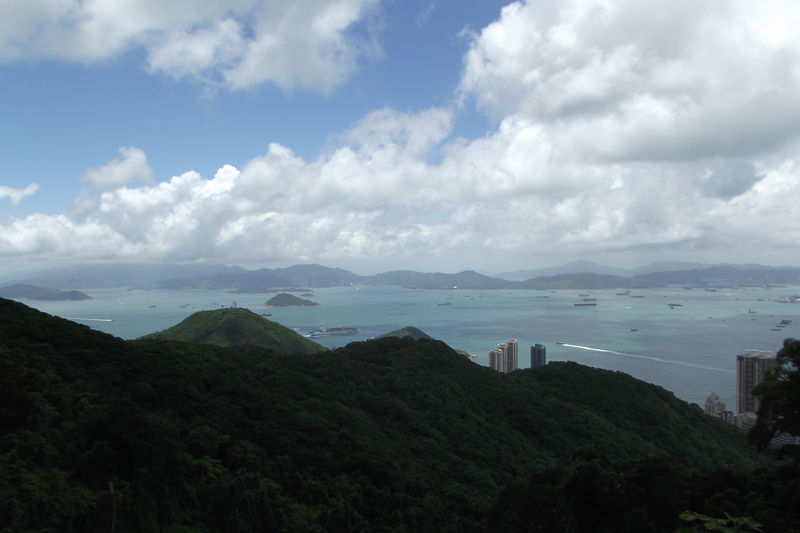 And within no time, you are presented with a fantastic view of all of Hong Kong, and there are very few people around. This is what HKG is all about — sea, mountains, and city. Fantastic. I’d actually never been to the Lugard Road Lookout before, so I was very pleasantly surprised to discover that you don’t have to go to the Peak Tower to get a view of the city. 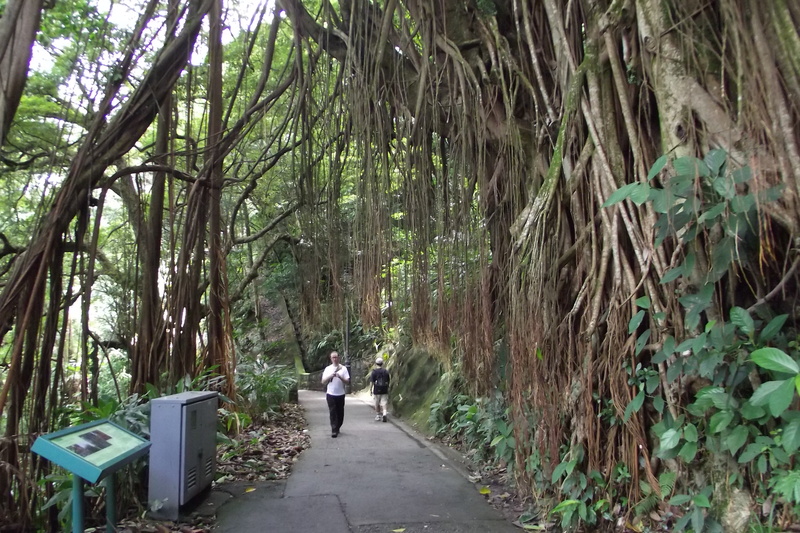 In fact, the Lugard Road Lookout connects you with a number of beautiful hiking trails that wind towards the south side of the island and give you the most beautiful sceneries. When the weather is clear like this in Hong Kong, it truly reminds you of what an incredible, and beautiful, place Hong Kong is. I usually avoid going to the Peak because of the zillions of tourists, but now that I know about Lugard Road Lookout and the hiking trails around it, the next time I have visitors, I know for sure where to take them (and where to avoid). 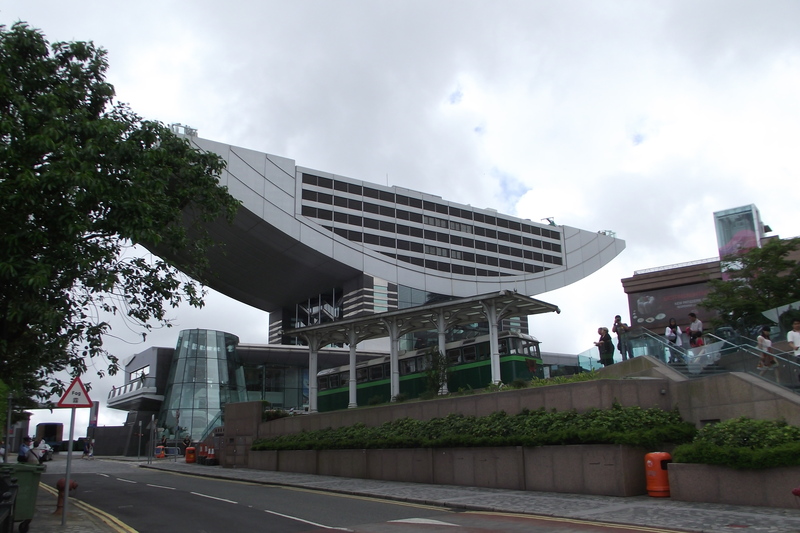 Need info on visiting the Peak? Check it all out here. If you want to do what we did — which was hike from Pok Fu Lam Reservoir to the Peak and then hike back down to the city — click here to read about the routes, maps, and transport. Hiking up from the Reservoir to the Peak was pretty easy, about 2 hours taking it at an easy pace and stopping for breaks. 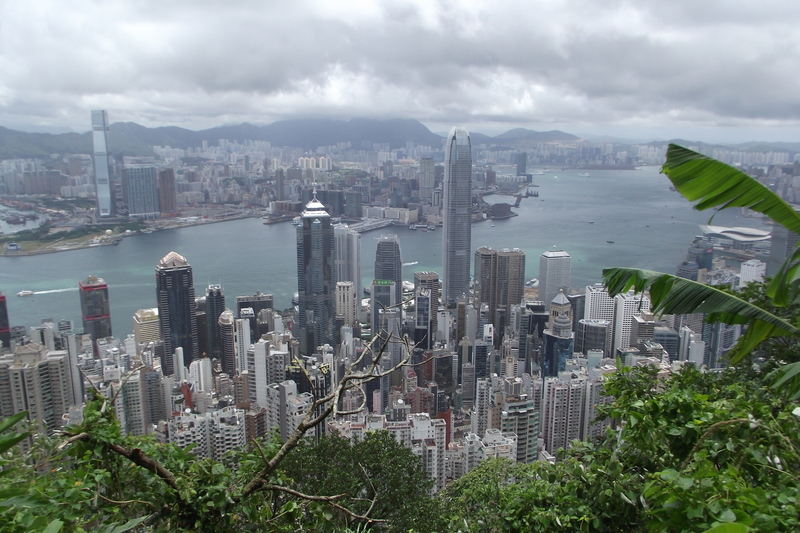 Once at the Peak, we really had no plan about getting back home, so we just happened to walk down Lugard Road Lookout, and then turn on to Hatton Road to head down the mountain towards the city. It is well laid out with lots of signs in English so easy enough to do. Fantastic shots of the city! Seeing those towers soaring into the sky just is not my idea of where I would like to live though. I need to be closer to the earth! Terrific stuff, keep it up, I look forward to new blogs, the photos are a major plus, thanks, Terry. Very Nice. Would make it easier to live in a city to be able to get away and see the tranquility of the ocean, greenery, and other scenery.